I can see where the idea of ‘less’ would appear to be a quicker transition to completely bridleless. There are several ways to view this question. First I will start with what I have done in the past. All of my bridleless reining horses have been very well trained in bits. As the horses have progressed through the stages of training I have always used the tools that helped make the ‘correct answer’ the easiest for the horse to find. For example, snaffle bits are excellent for teaching a horse to bend side to side and shanked bits tend to encourage breaking at the poll. These statements may sound like my opinions, and they are, but they have been built on observing many horses. 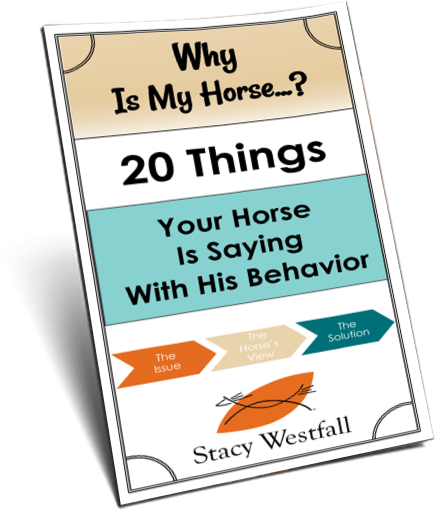 Your question has one huge variable; ‘starting a horse with the intent to do tackles riding.’ This could mean riding around in a round pen, or pasture, or competing in reining…and those more specific end goals change the answer. My goals have been to show at the highest levels of reining without a bridle. 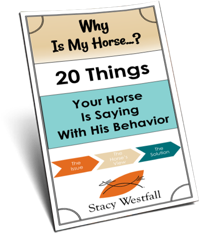 A variety of bits, as referenced above, are part of the training process I use with my reining horses. This is one of the reasons I started Jac with a bit. Having said that, I am also sure that there are horses that could be trained in a rope halter and reach a safe level of general riding…possibly even tackless. I just haven’t tried this route because I have always started with reining in mind and general riding naturally came with it. I believe that bits can be comfortable for horses as well as an asset to many training programs. You may also be interested in reading these other blogs I have written on using bits. What bit should I use with my horse? Why don’t you always use a snaffle bit? Doesn’t a bit hurt a horse? In this episode I show all of the things a horse must know before I switch to a bit with a shank. ← If a horse was injured years ago…is there still a chance he can heal? I definitely find that horses seem to make the mental “switch” from bitted to bitless much more easily than they switch from bitless to bitted. Young horses who have only been long-lined with a halter or cavesson are generally very afraid of their mouths when they are backed, and need more work on long lines or in side reins before they learn to go forward into a contact. On the other hand, one day (I’ll admit, to show off to a friend) I got on my conventionally trained mare with only a halter. I got canter circles, half-pass, rein back, walk pirouettes and turn on the forehand without any trouble. I have three Arabians that have never had a bit in their mouth. They are great trail horses. We ride them on a loose rein in just a rope halter and lead rope. They are very responsive to the slightest pressure. He started out wild and unhappy and left by someone who went away and never came back.Long story short, at the end, I could ride him bridles on the trail and the less I put on his face, the happier he was. You have to change your way of thinking. You don’t realize how much you hang on his face and you have to learn to have your body do the work.I wouldn’t start him bridle less. But the best years of my life were when we trusted each other enough to do it! What a rush! Our goals are being safe and having fun. Poor Magic tries so hard to keep me safe….